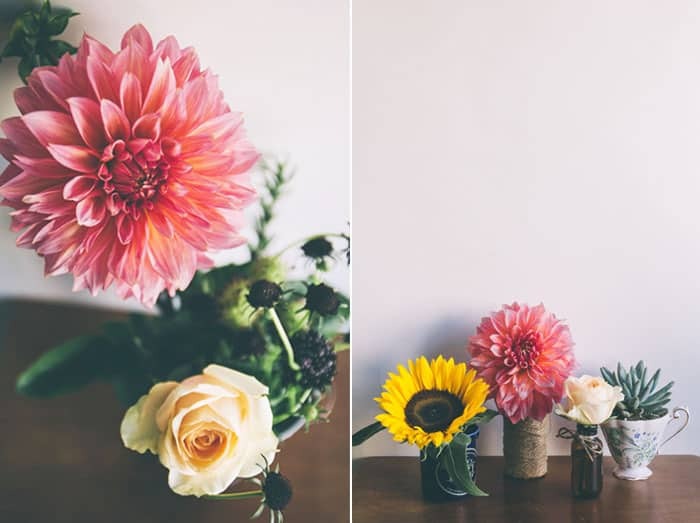 This week Greta from Glasswing Floral and I were inspired by a quote in Jaime’s book Prudent Advice for Every Woman – When fresh flowers start to wilt, cut their stems and put them in tiny vases. 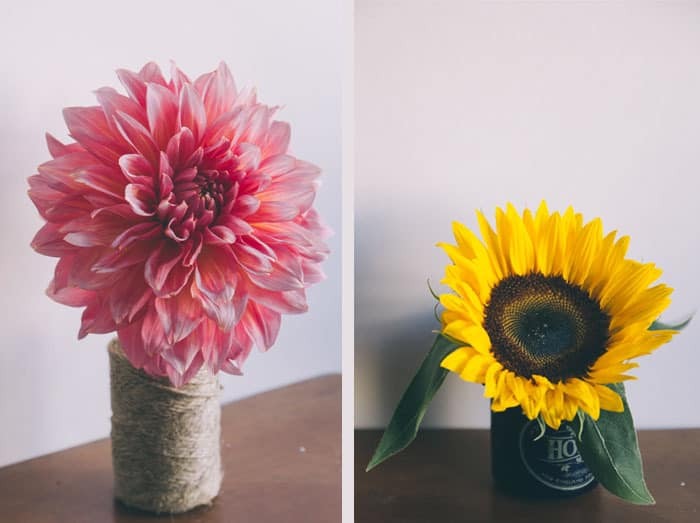 We did just that, but instead of typical vases we came up with our own creative vessels using items from around the house. 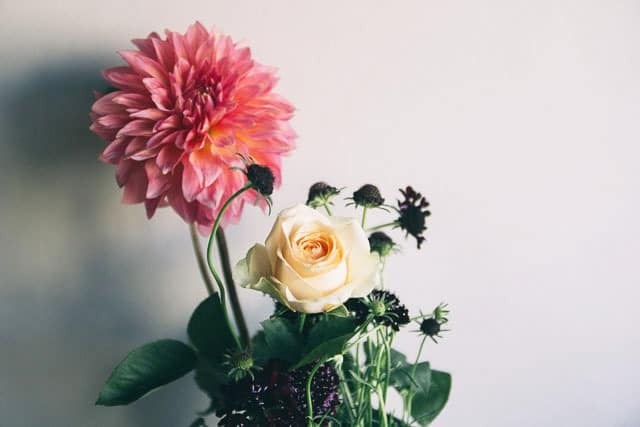 As we see it, the first life of flowers in the home is the beautiful arrangement. The second life comes when half of them are on their way out and you save the rest, that way you get more out of your flowers. The third life is when you preserve the arrangement by making bouquets with the dried flowers. We were having so much fun filling the tiny vessels that we decided to throw in one of Greta’s succulents too. Ready to get started? 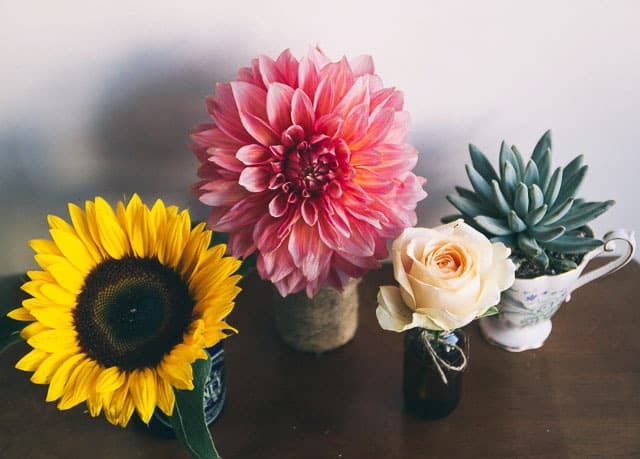 Don’t forget to start following Glasswing Floral on Facebook, Twitter, Pinterest, and @GlasswingFloral on Instagram for more flower arrangement inspiration. Her “Just ’cause it’s Tuesday” arrangement was one of my favorites this week. We started out by grabbing a few household items to repurpose as vases. 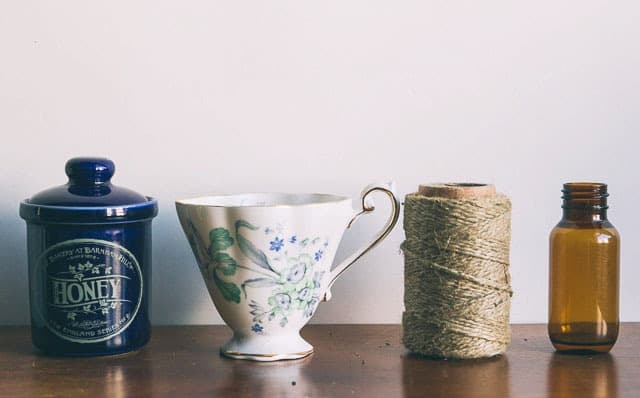 I had a honey jar, tea cup, Aesop body wash bottle, and a small, glass bottle I slipped into a spool of twine. You can also use a brown paper bag. Cut the stems off the blooms that are still alive. 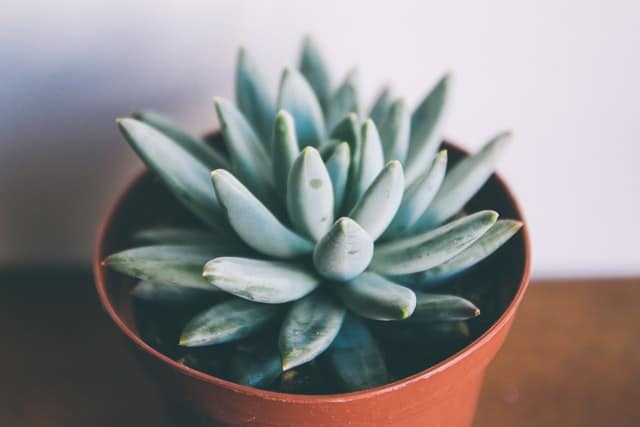 Throw a succulent into the mix while you’re at it. Fill your tiny vessels and vases. Use them to decorate your home, or give them as “Just ’cause it’s Friday” gifts to your friends. 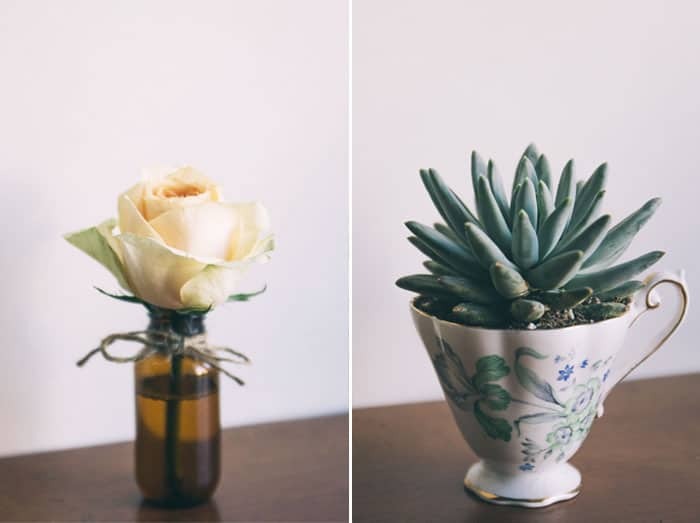 What vessels have you repurposed into vases? Leave a comment letting us know.